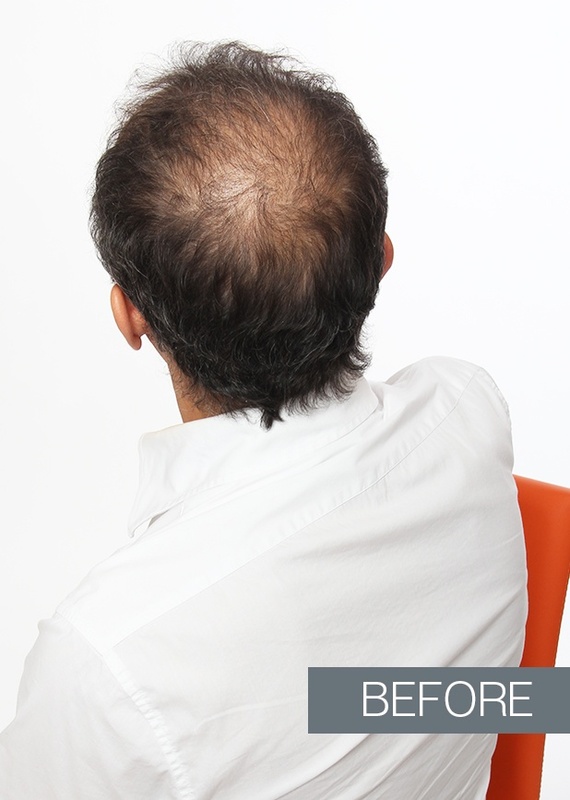 Non-surgical hair replacement are a flexible, natural-looking solution that add hair to thinning areas of the scalp or completely covers the head. 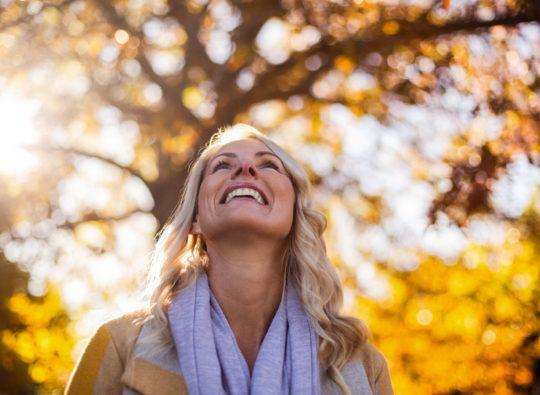 There are several methods of attachment that adapt to your needs and your lifestyle. Hair systems can be used to give more volume to your hair or replace hair that you have lost. This alternative can concretely meet the practical and aesthetic requirements of demanding individuals. Depending on your type of hair loss, it will be possible to choose your hair system from a wide variety of models. 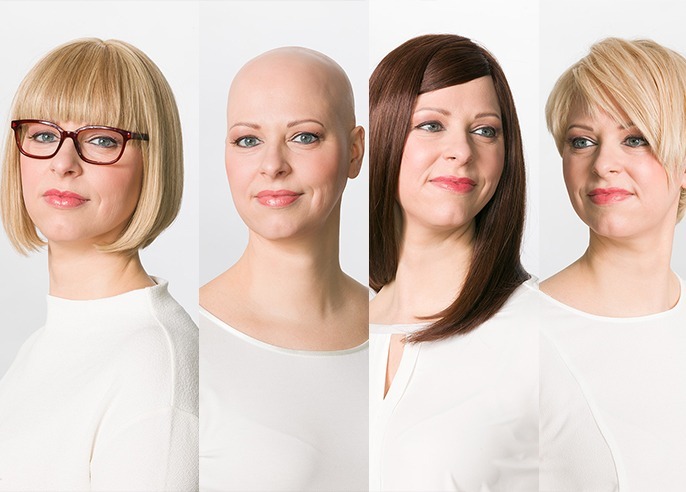 If you are dealing with diffuse or localized hair loss or just want more volume and want to remedy this situation instantly, naturally and conveniently, hair prosthesis and wigs are the perfect solution for you. A look made for you! A wide variety of models, colors and hairstyles are available in your Capilia center to find the look that will meet your expectations. 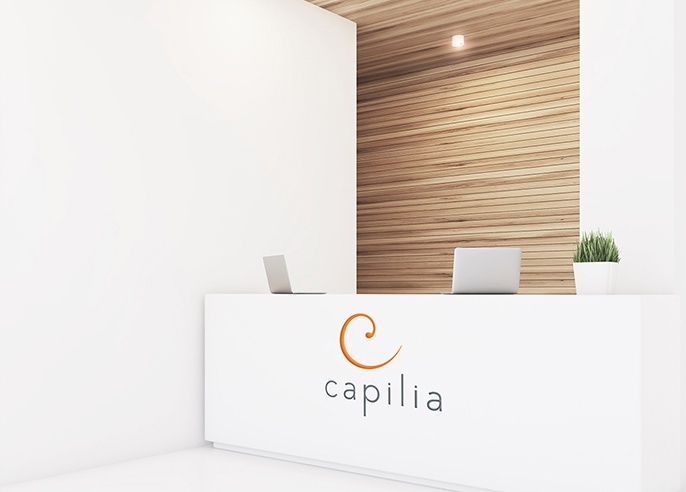 The Capilia Professional product line is specifically designed for the care and maintenance of hair prosthesis and wigs, either made of human or synthetic fiber. Micropigmentation is a non-surgical solution that involves tattooing the scalp in the shape of littles dots, the size and look of a follicle. This solution can hide a bald region of the scalp or a scar, simply give an impression of density to a sparse region or create a realistic “shaved head” effect using pigments applied in the epidermis of the scalp. 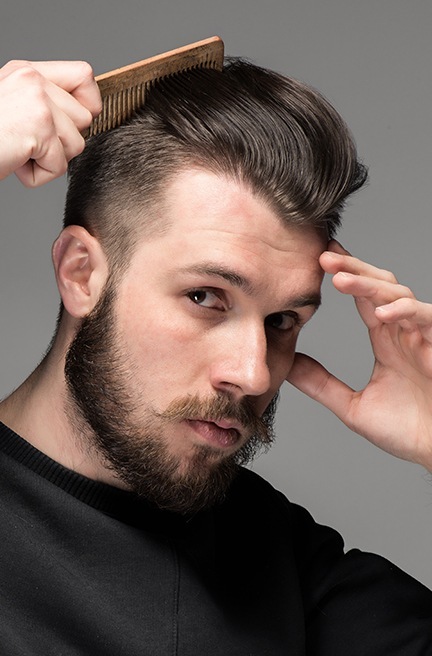 Male pattern baldness:This solution provides a convincing result for men being in phase 3 or 4 of male pattern baldness who want to keep a ”shaved hair” look on the complete head. 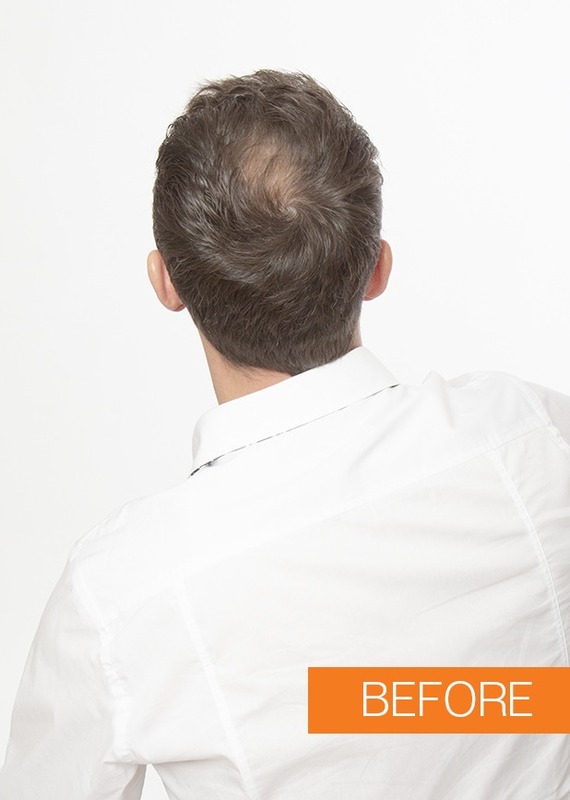 Sparse hair:It’s a perfect solution for men and women with thinning hair who wish to hide their scalp showing through a sparse area by providing the illusion of hair regrowth. 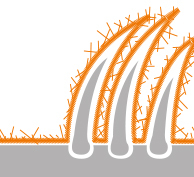 Scar:This technique is often used to hide a scar on the scalp by creating hair follicles. *Micropigmentation isn’t recommended for people with high sensititvity to the scalp or skin problems. A Capilia expert will advise you. The micropigmentation procedure requires at least 3 sessions of 3 to 6 hours each, spaced 3 to 4 weeks to allow time for to the pigments to adjust to the epidermis for a more natural look. Is this comparable to a tattoo? 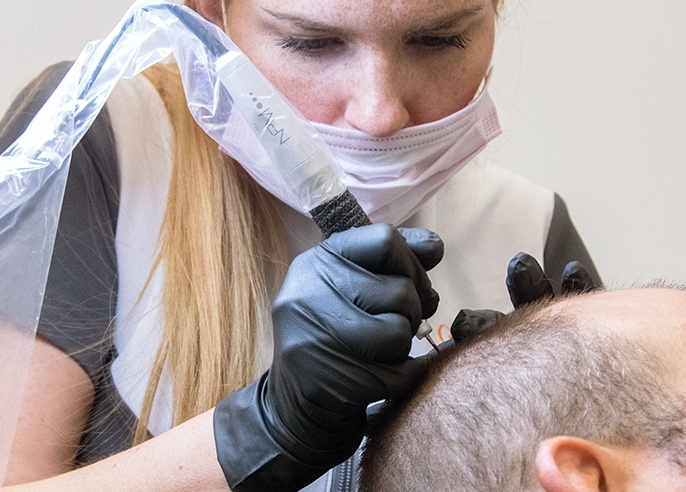 Micropigmentation injects a smaller amount of ink into the epidermis of the scalp than the traditional tattoo. The pigment is also implanted in a shallower section of the skin to give the impression of a follicle at the surface of the skin. Since the skin at this depth renews itself more regularly, unlike the tattoo which offers a permanent result, retouches should be planned after a few years. 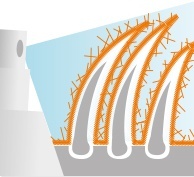 Micropigmentation lasts 2 to 3 years depending on scalp care, skin type and lifestyle. Pain can vary from person to person, depending on individual tolerance, head shape, and scalp sensitivity. An analgesic cream is applied to the scalp to minimize discomfort. The Capilia micropigmentation technician will ensure your comfort throughout the sessions. Capilia certified micropigmentation technicians offer this corrective solution in accredited centres only. Designed to temporarily hide thin or sparse areas of your scalp, hair microfibre is a quick and natural way to visually increase hair density. Made of 100% natural cotton fibers, Kamitek provides a natural look virtually undetectable to the naked eye. 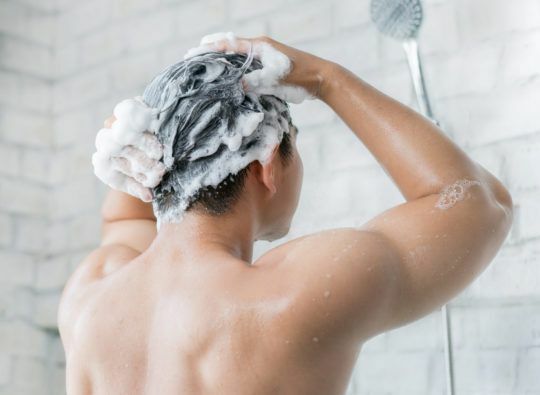 The electrostatic effect keeps fibres in place until your next shampoo, no matter your activities and your lifestyle, resisting even to bad weather (wind, rain, etc.) and sweat. For maximum hold, it is recommended to use the Capilia Professional finishing spray. 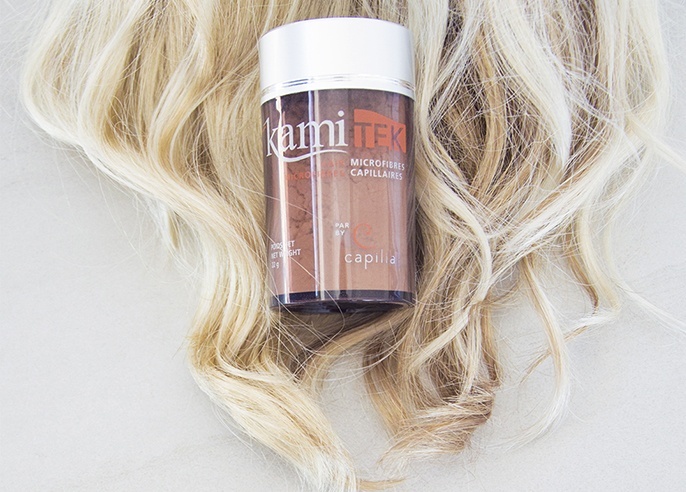 Kamitek is safe for hair and scalp health. 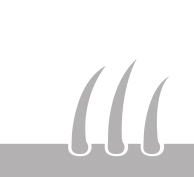 Kamitek is designed for top of the head diffuse hair loss but not in cases of total hair loss, fibers needing hair to attach to. Offered in a wide variety of colors. Style your hair as usual. When applying product, hair must be perfectly dry. 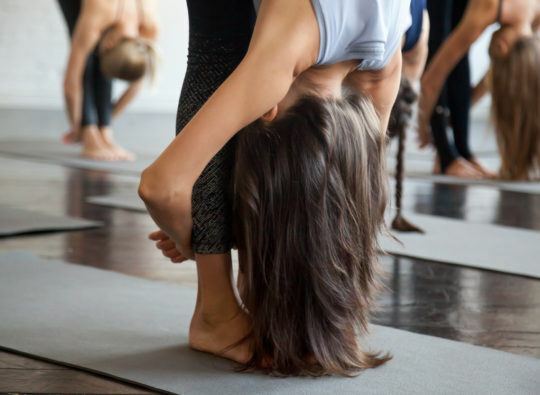 Scalp should not be oily or sweaty. Sprinkle a generous amount of Kamitek on thinning spots until desired result is achieved. 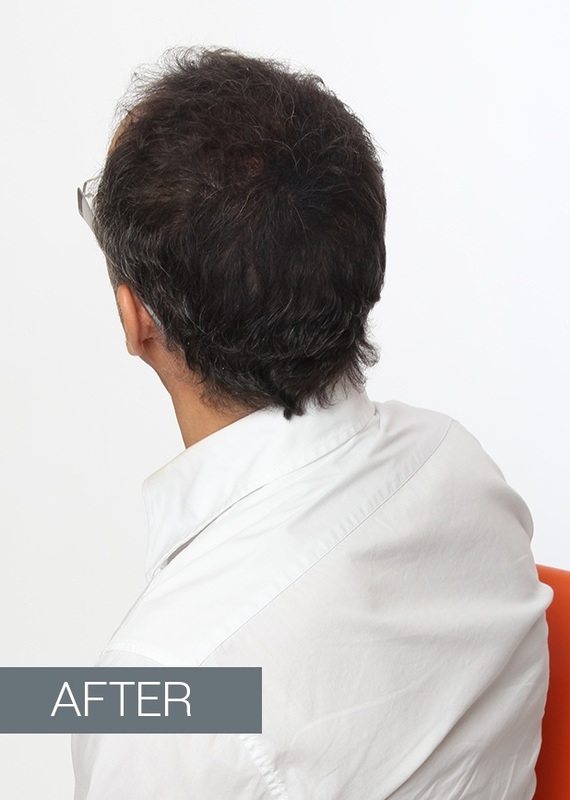 Start on the back of the head and proceed to the front. Use your hand to protect forehead and follow hairline. Place hair using fingers or a comb, without getting closer than ½‘’ from scalp. Spray Capilia Professional Finishing Spray to firmly set microfibres. Go about your daily activities with confidence and without worries! Whether it is for a special event or your everyday styling, use Kamitek to enhance your look . In just a few minutes, Kamitek instantly gives thicker, fuller looking-hair without any inconvenience! 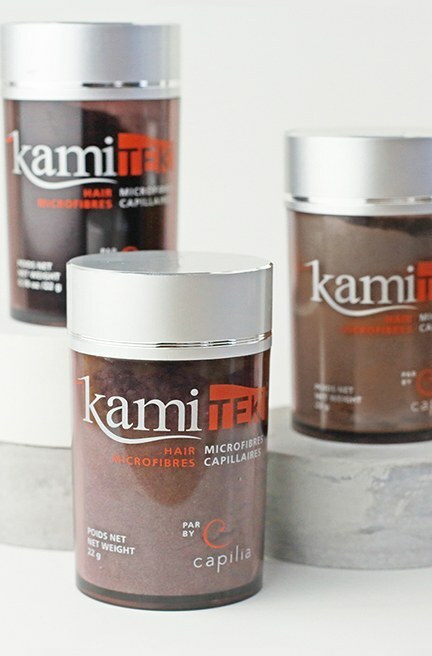 Kamitek hair microfibres are available in 12 different colors to restore hair volume, undetectable to the naked eye. 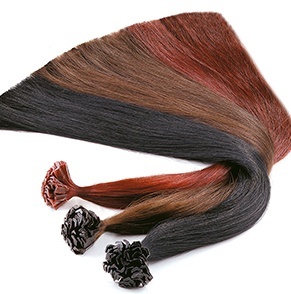 Visit a Capilia center to find the color that is right for you. For an even more resistant hold, use Capilia Professional Finishing Spray after applying Kamitek Hair Microfibre. If you enjoy the density effect provided by Kamitek and would like a more permanent solution, micropigmentation might be what you are looking for.